It's been a long summer. 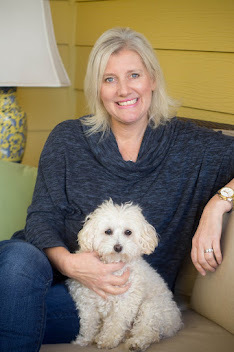 One reason I enjoy having my own blog is because of the wonderful connections I make with you, my readers and friends. Sometimes, you reach out to me. Sometimes you don't. But, I know you are there. I wanted to share some news with you today that has not been shared here yet, but has been on some of my social media outlets. I enjoy being able to offer a personal side to my blog in addition to the other travel and leisure stories I cover and I feel it is important to share this news with you. 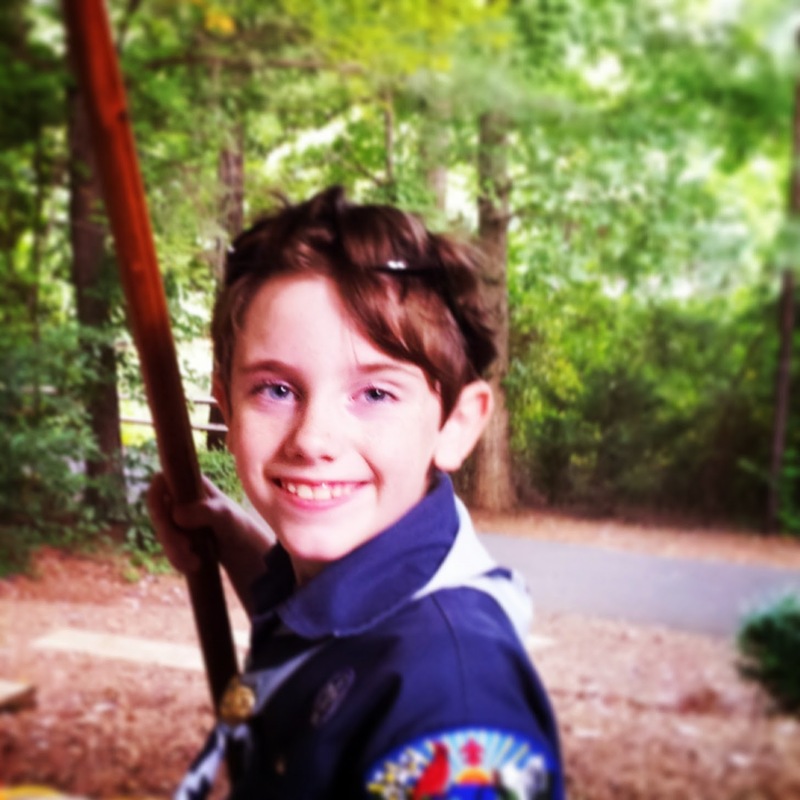 We had some medical issues with my 8-year-old son that resulted in a lot of periods of waiting this summer. An MRI revealed that he was more than likely born with a cyst on his pineal gland in the brain. The pineal gland is located between the two hemispheres of the brain and is responsible for the synthesis and secretion of the hormone melatonin. If the cyst is too large then it can cause problems, but other than that one can live with the cyst without any problems. We had a consult with Duke Pediatric Neurosurgery yesterday, and were told that that surgery was NOT needed. We will continue to monitor growth of the cyst through scans. Our doctor told us that he has only seen two cases where the cyst grew so we feel that odds are on our side for a great prognosis. Jack started third grade this year. He has a wonderful, supportive family at his school and we feel so relieved and blessed. I will soon get back to writing and will begin to share more things with you as my work hours increase. I'm excited to announce that I will be a guest of Italian Tourism in October for #TBDItaly in Rimini. I'll be meeting with my Skimbaco Lifestyle editor, Katja Presnal, and other colleagues there. I have also accepted a few lifestyle campaigns for this fall which will get me back to sharing some of my parenting moments here. Liza starts preschool after Labor Day and will be in school five mornings a week. I hope you all have had a wonderful summer. 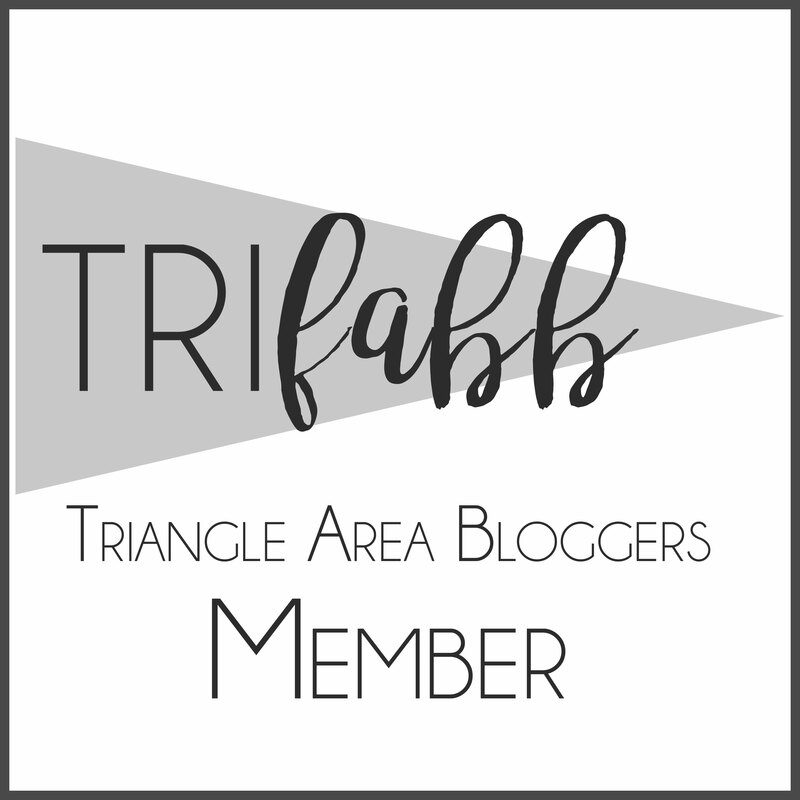 Here's to a great school year, and my having some additional time to give "my third baby...The HinesSight Blog" a little more attention again. My next Southern Chat will be soon. 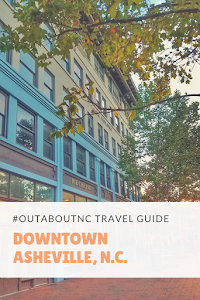 Be sure to check out two of my latest articles on Skimbaco Lifestyle about some fabulous N.C. places. Grab a Table at Dan'l Boone Inn in Boone, N.C. Luxury Check-In: Fearrington Village in Pittsboro, N.C. When I was going through my Instagram feed this week, I swooned when I saw this photo of the Homestead from the Omni Hotels Instagram account. It was about two years this week that I visited the Homestead in Hot Springs,Virginia for the first time. A lot of this pool was still under construction back then. The Homestead is such a historic and grand property. After our family visit, Omni Hotels took over the property. This hotel will always have a special place in my heart. I cannot wait to return one day. I have some great family memories there, and you can read all about in my "Pack Your Bags" on the property. I cannot believe how much my children have changed in two years. She now wants to ride Zip. 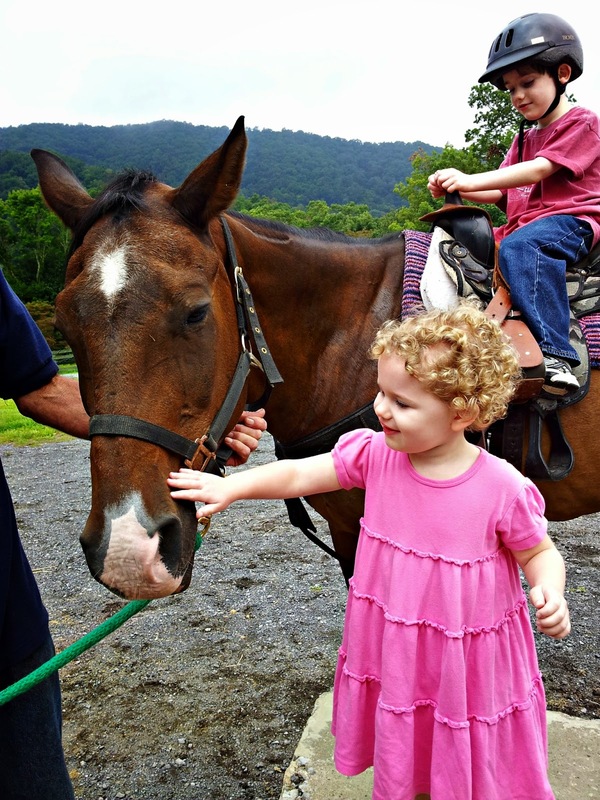 Omni Homestead is a great family travel vacation. The Homestead is also a great winter resort, and a wonderful place for beginner skiers. That suits my family to a tee. 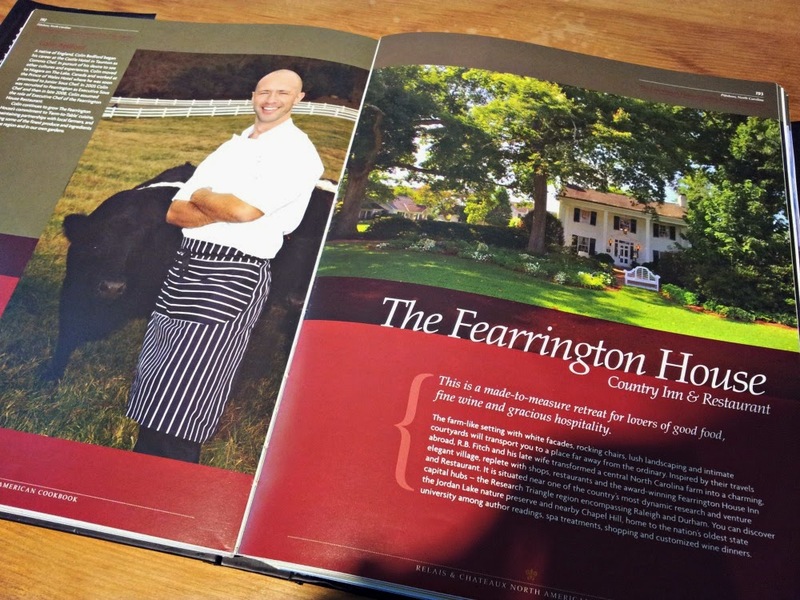 Be sure to check out all the articles I wrote on the Homestead for Skimbaco Lifestyle. 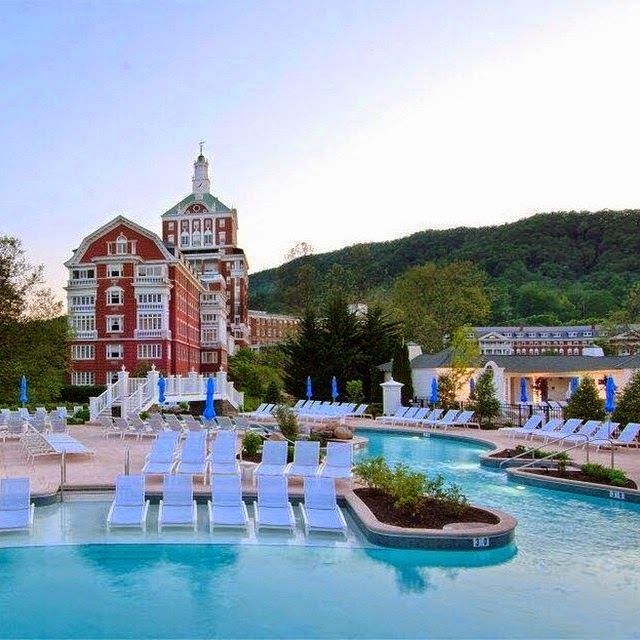 “Taking to the Waters” at The Homestead Resort Puts A New Spin on Taking Care of You. Have a great weekend. Be sure to check #IGTRAVELThursday for lots of great Instagram photos from all over the world. 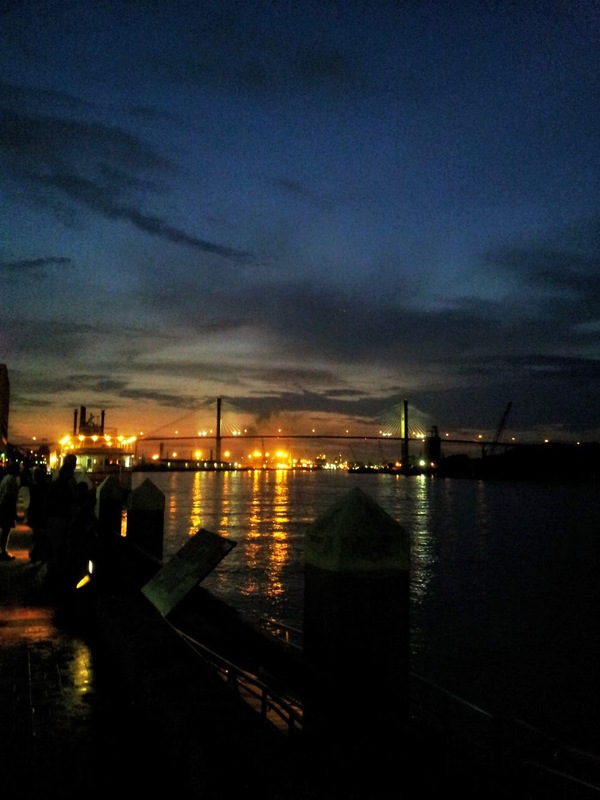 I took my very first trip to Savannah, Georgia this summer. I really wished I had more time there to see the sights. We were there for less than 48 hours, but I already have it on my list to go back. 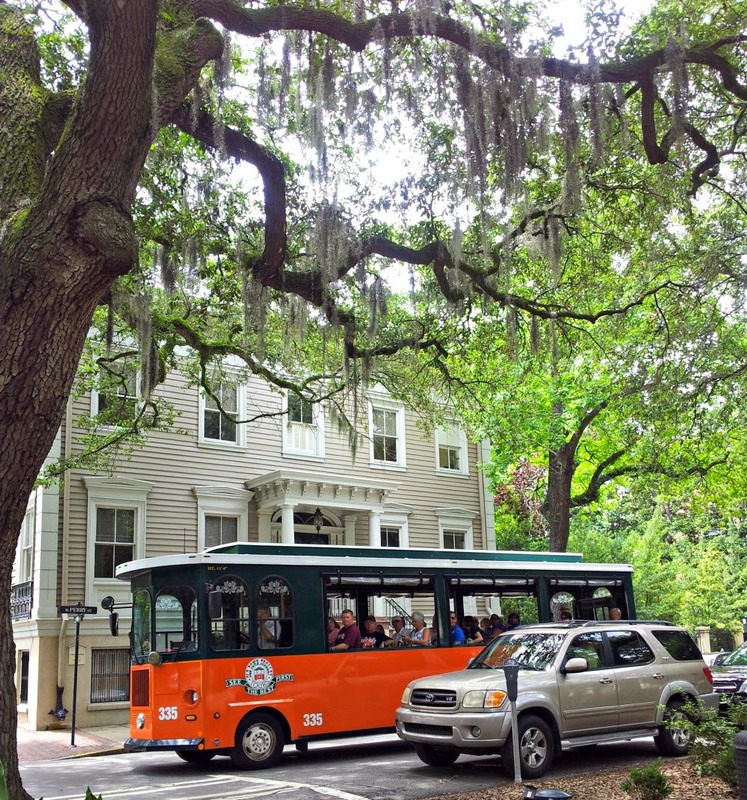 Savannah was a road trip stop-over point for us on our way to the Jekyll Island Club Hotel and Jekyll Island. The drive from Raleigh to Jekyll Island is 408 miles, which is very long when you are middle-aged parents with young children. Really long! I decided that since Savannah was on the way, and none of us had ever been that it would be crazy for us not to stop there. I added two nights onto our trip, which is the great thing about family road trips and having flexibility, if your budget and time allows. 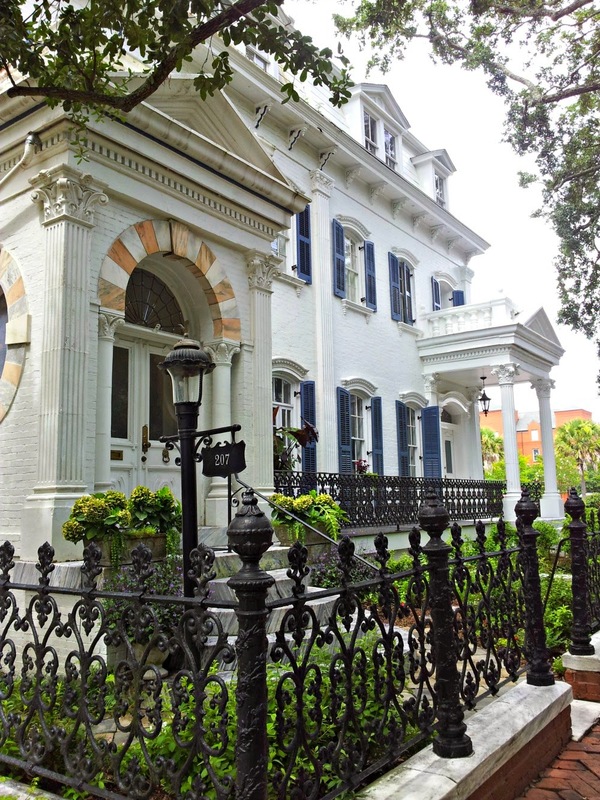 I did a lot of hotel research before arriving in Savannah, and scoped out a few hotel properties that peaked my interest. I'm going to go ahead and admit to you that I ruled out any hotel that was advertised as haunted. I just didn't go there. I also put us on a budget of $200 per night when searching for properties, and narrowed my choices down to two properties, both with very similar locations. 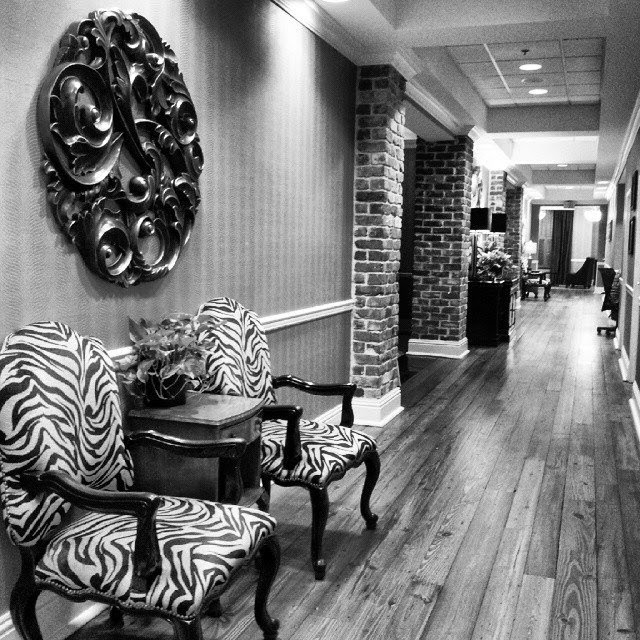 One property was full-service with a restaurant, luxury amenities, and slightly over-budget. The other property was a limited-service property with complimentary breakfast,and came in under budget, but came across as very upscale.I then described both properties and rates to the HinesSight Blog Facebook readers. In a blind poll without revealing the hotel's identity, I asked them where they would choose to stay for family travel, if passing through town.I didn't even name the town I was going to be visiting. 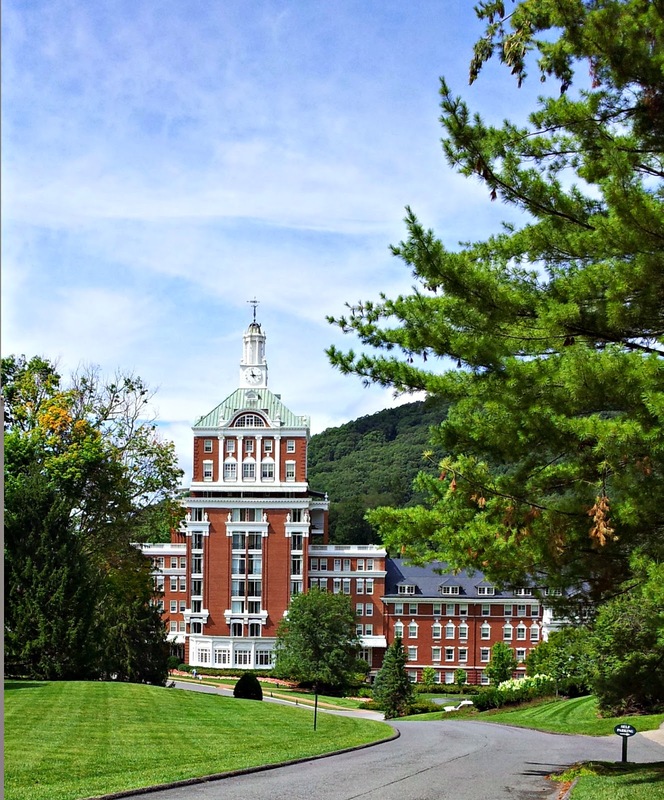 The limited-service property, under budget, got the most votes and it was the hotel that Facebook readers wanted to know more about for a road trip. 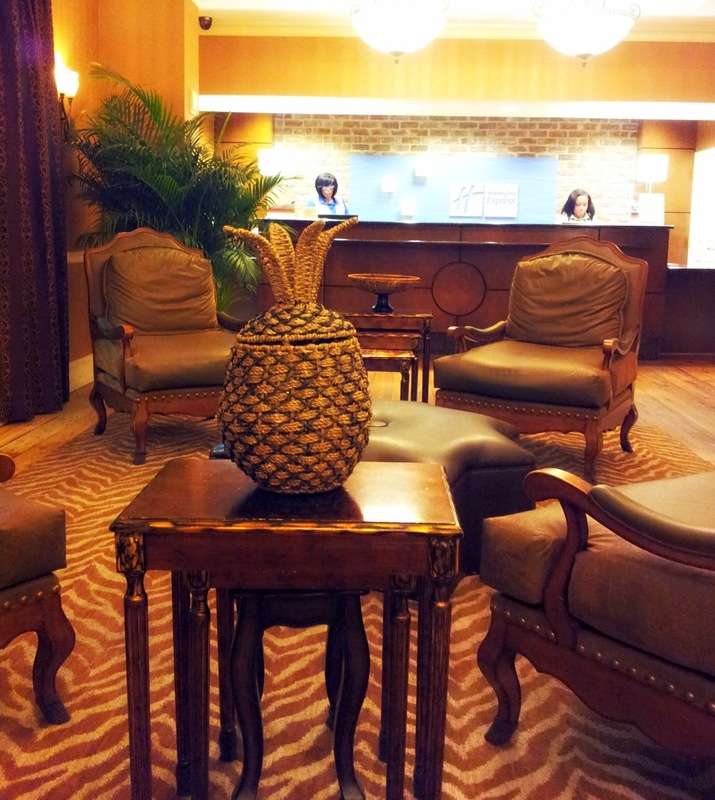 We stayed at the Holiday Inn Express Savannah Historic District. 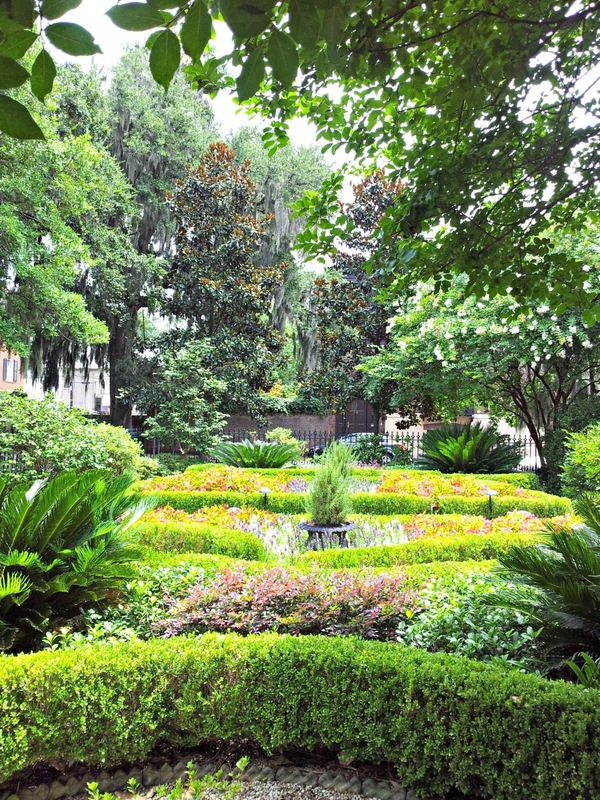 This Savannah Lodging property is a great example of how limited service properties can be upscale, but can provide a lower-cost because it's not full-service. The public areas of this hotel were appealing, and very boutique chic. The rooms were spacious, the bedding was nice, and the bathrooms were modern. Breakfast was complimentary, which certainly helps on a travel budget, and it is a great family travel perk. Is it a culinary experience like in a luxury property? Absolutely not, but it also not $50 for family of four to eat breakfast either. I ate a hot sausage biscuit one morning and I thought it was really good. 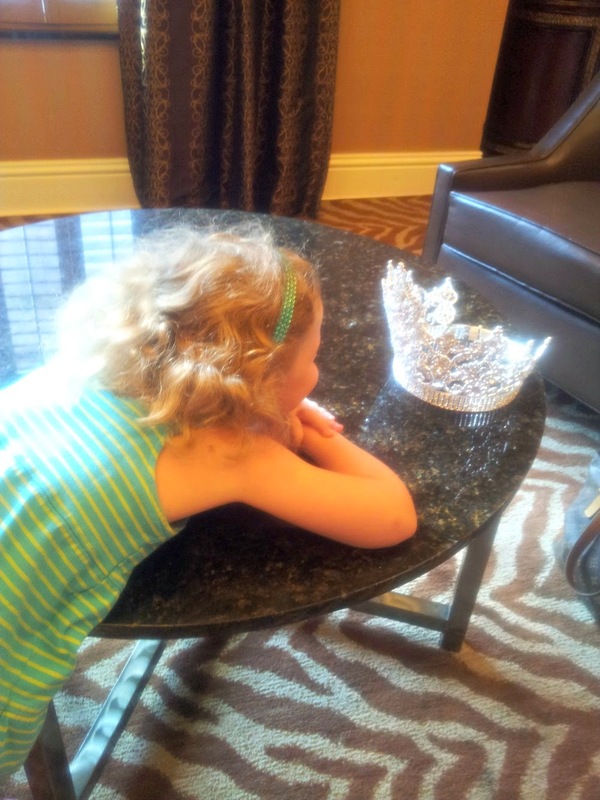 A lot of pageant queens who were in town for a pageant were guests of the hotel, too and you know who loved that. Our location in Savannah was fabulous. I cannot emphasize that enough. We never moved our car. 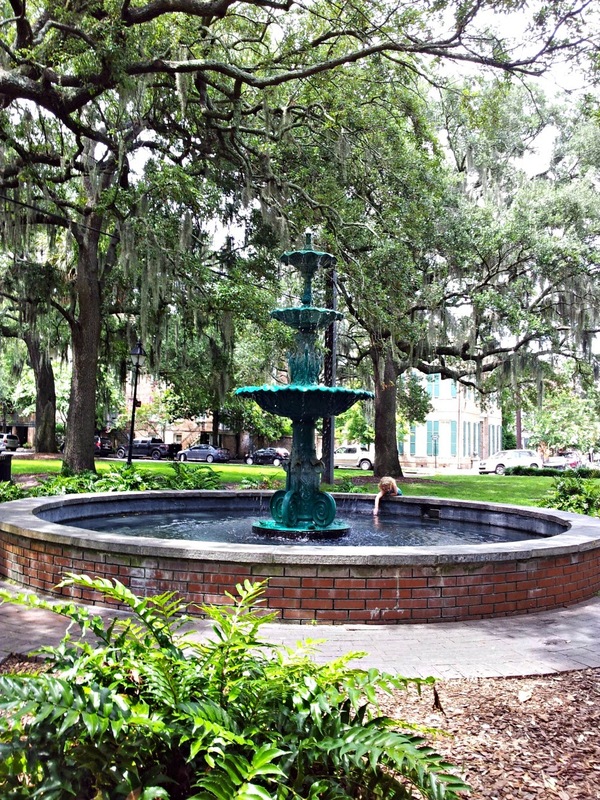 The Holiday Inn Express Historic District is located in the riverfront district and one mile from Forsyth Park. 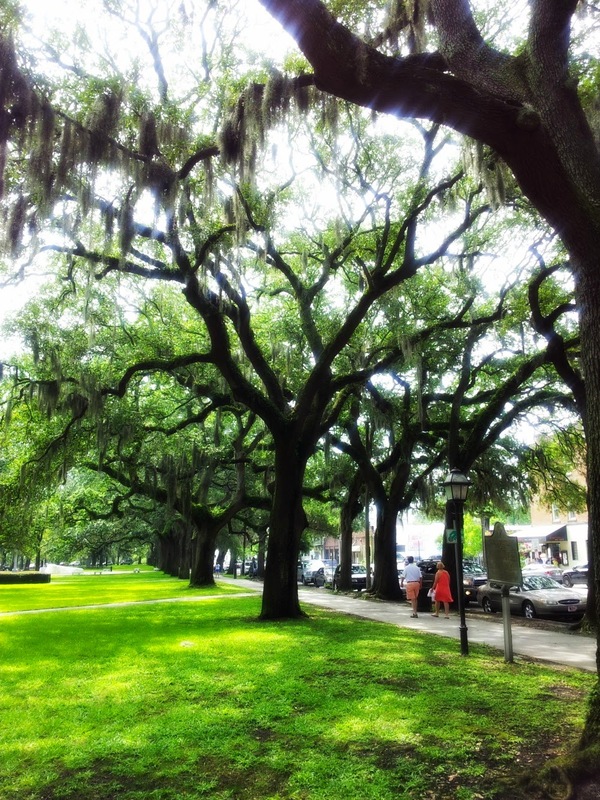 It was very hot and humid in Savannah when we visited, and my youngest child complained a lot while we walked around town. In fact, the hotel gave her a pool noodle upon our arrival so she begged to go to the pool all day. Unless we were eating, she made it known that she wasn't very happy. 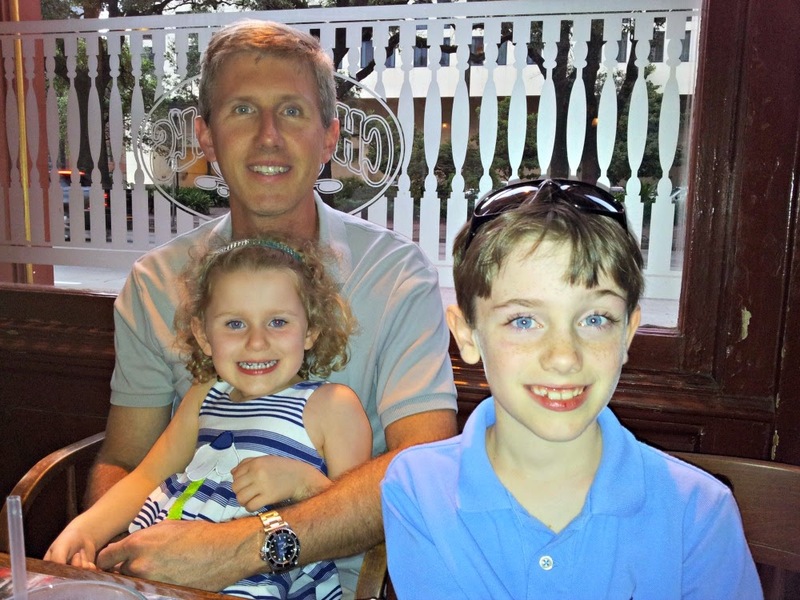 My children are used to accompanying me on hotel visits where we spend a lot of time at the property. This was extremely obvious as she pleaded to go back to the hotel every hour to "relax and swim." We did not do an organized tour, and in our "hinessight", we should have taken the trolley tour because we learned later that you could hop off at any point, walk around, and then get back on at another stop. That would have been nice. I should have done my homework a little better on that one, but I just did it for you so you'll know on your trip. We did cover a lot of ground ourselves on foot. 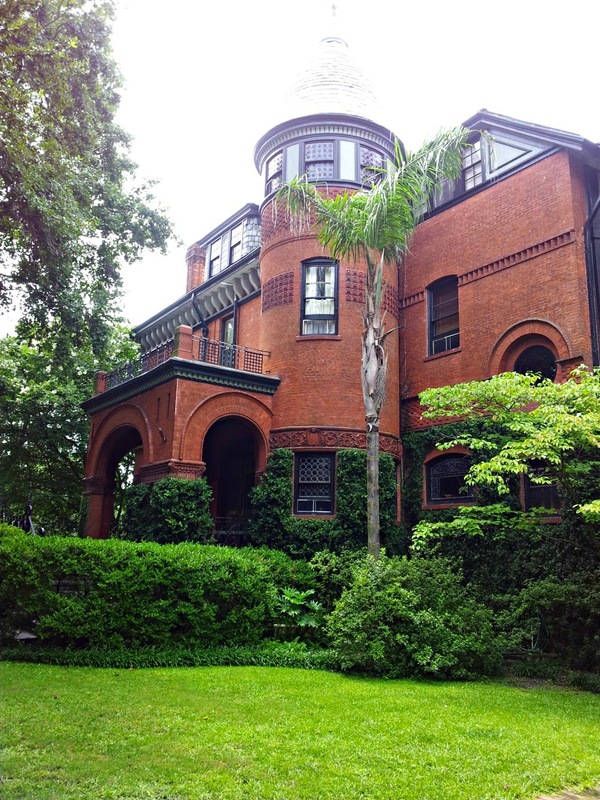 We spotted the birthplace of Juliette Gordon Low, the founder of the Girl Scouts, and we strolled the gardens of the Andrew Low House, where Juliette lived once she was married. 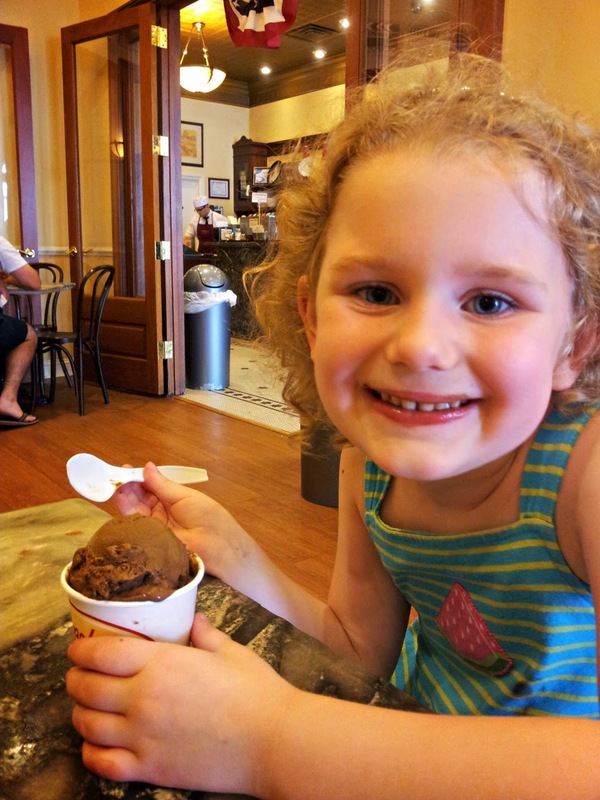 The kids had ice cream at Leopold's Ice Cream on East Broughton Street in Savannah to cool off. 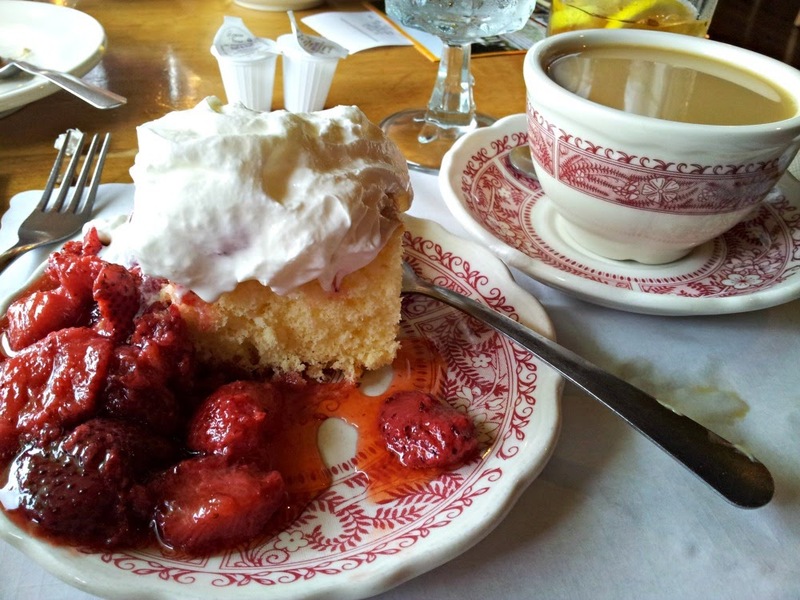 Leopold's celebrated its 95th birthday just this past week, and is a Savannah staple. Leopold's makes all of its ice cream in-house using a family recipe from 1919, and is probably a must when you visit this historic city. 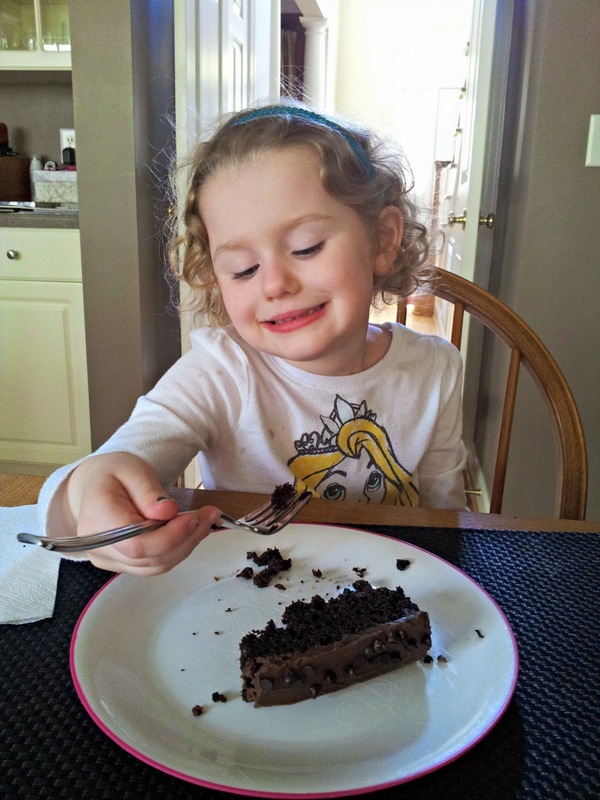 The ingredients, using real cream, are all-natural and contain no-artificial dyes. We walked right in to Leopold's at 11 a.m, but later in the afternoon when we circled back near the shop on the way back to our hotel, we saw a line curled around outside the door. I think that is pretty common. I've already written about our lunch at the Public Kitchen and Bar on the blog. That was probably my favorite meal in Savannah. We also dined at the Moon River Brewing Company, which was just a few blocks down from our hotel. The beers were great. 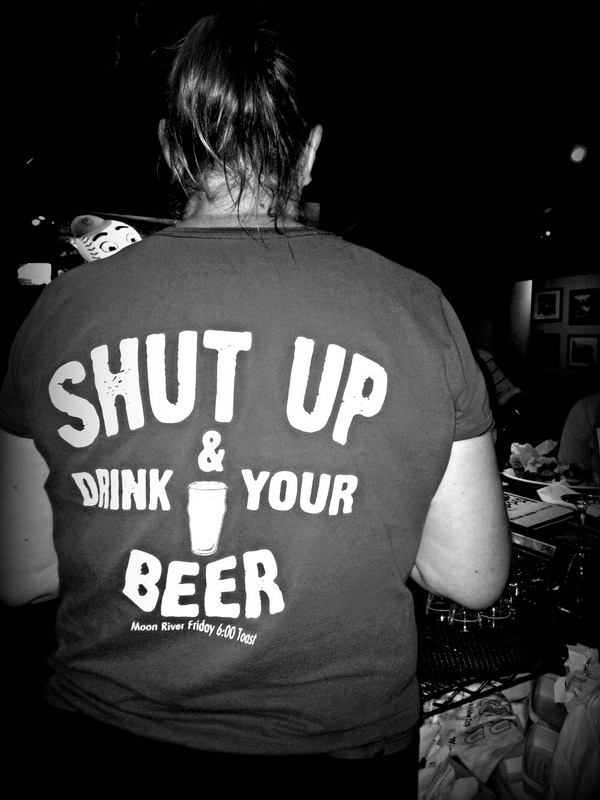 My favorite beer was the Captain's Porter, an American sweet stout. The pub is dark, historic, and haunted so I didn't even try to take photos, but it's definitely worth a visit when you are in town. 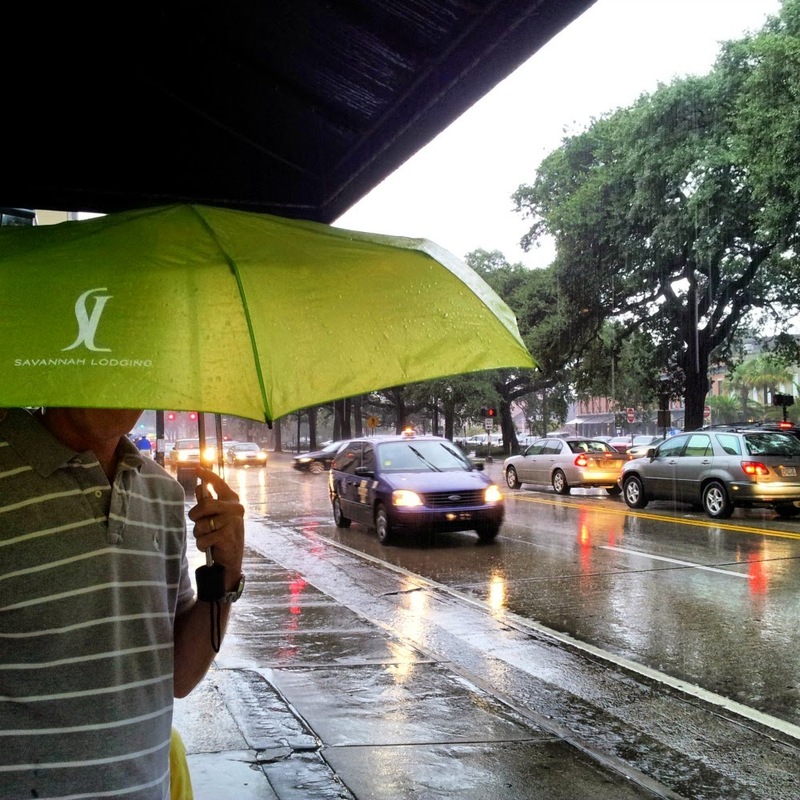 Savannah's riverfront is bustling with excitement. We had a lot of early evening showers while we were in town so it made exploring a little more challenge. We managed take the kids to the rooftop hotel pool on our last night in the city. 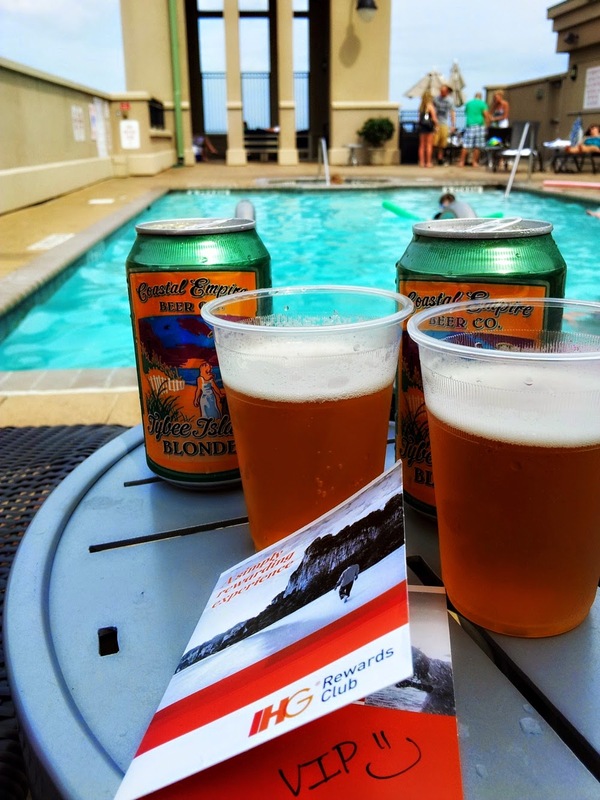 I'm going to go ahead and admit that having a beer by the pool made me lazy on our last night there. I probably would have ordered room service or ate at the restaurant in the hotel had our hotel been full-service. With limited-service properties, you have no choice, but to get out and and about because you need to eat dinner. That evening, we chose Churchill's Pub, located a block from the hotel. Will said it was the best Shepherd's pie he has ever had, and Jack loved the fish and chips. We ended our evening with a stop in Savannah's Candy Kitchen. We definitely didn't have enough time in Savannah. Can't wait to get back one day. 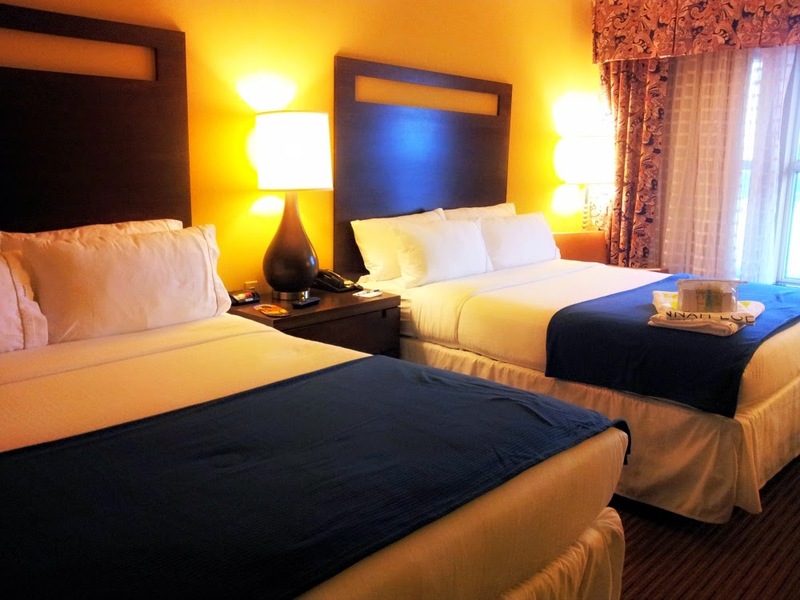 Disclosure: My opinions about hotels on this blog are always my own. 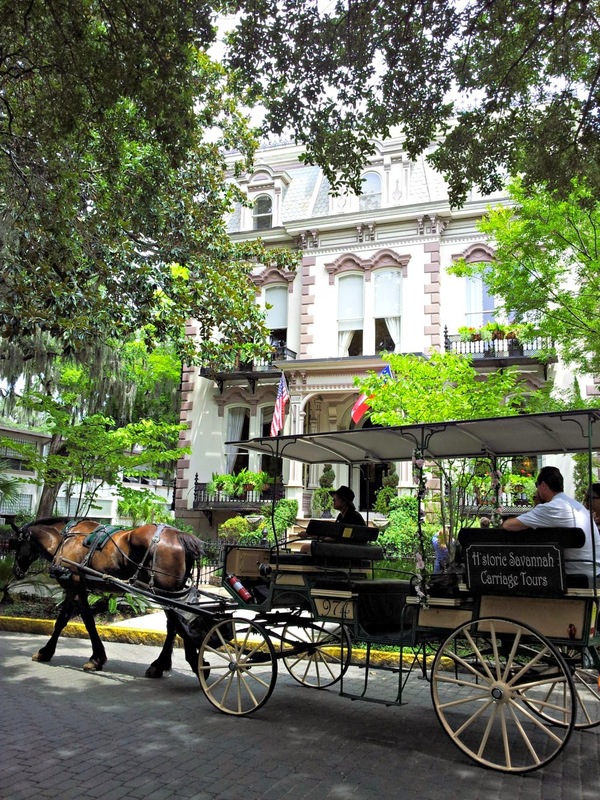 My thanks to Savannah Lodging for working me and tailoring an agenda filled with great restaurant recommendations and things to do after I decided to visit this great city. Too bad that I didn't have time to try them all. All dining expenses were my own. Savannah Lodging provided me with a special welcome gift basket that included those great, local beers I featured in the photo above and other local goods. 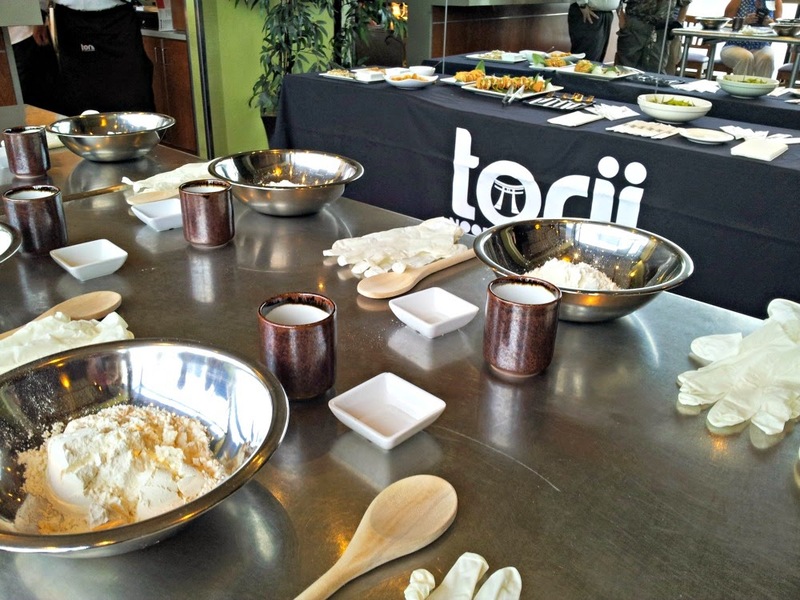 When I was invited to attend a ramen noodle making class at Torii Noodle Bar by Kanki in Raleigh for an event sponsored by Shop Local Raleigh, I will be the first to admit that I was a little nervous. I have never attempted to make any type of homemade noodle in my life. 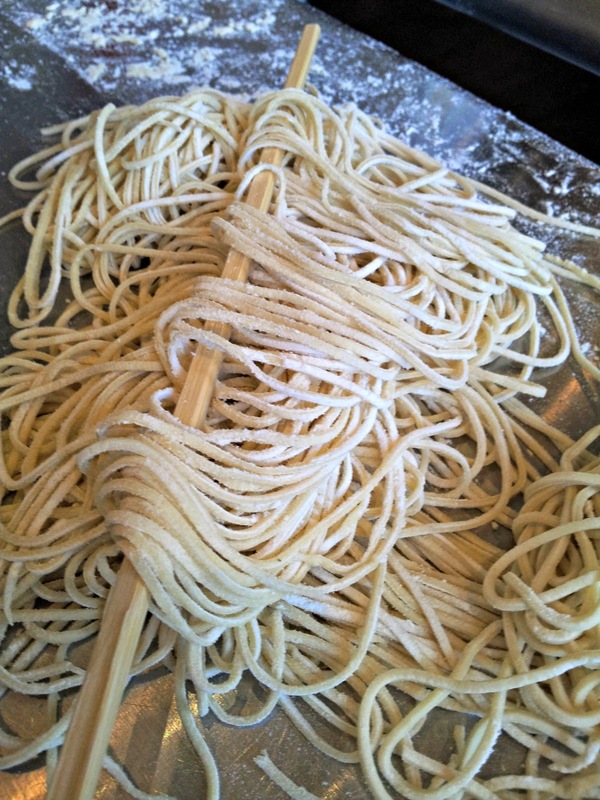 Making homemade noodles has always sounded complicated. And for someone like me, it really was complicated, but quite a rewarding experience after I finished the class. I really felt as if I accomplished something, with a lot of help from the chef, of course. 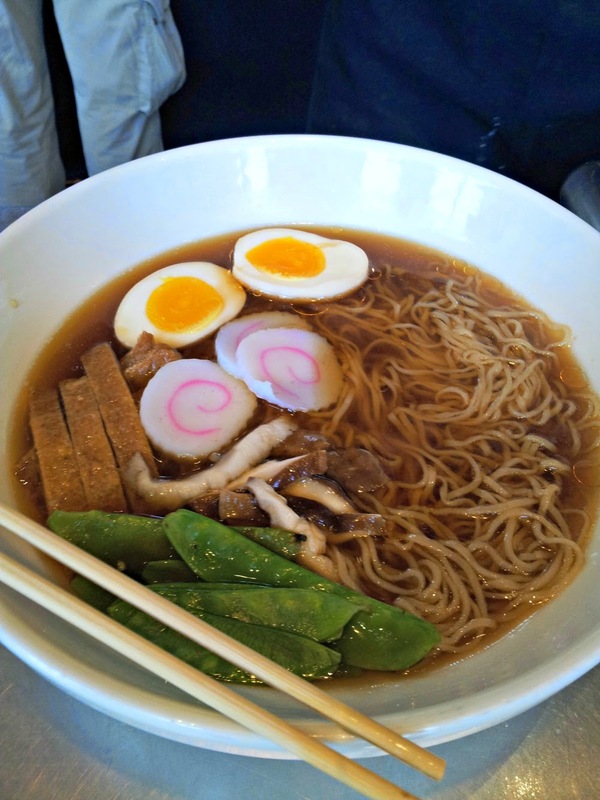 Torii Noodle Bar, located in Crabtree Valley Mall, puts the spotlight on ramen noodles. There are hundreds of varieties of ramen across Japan. Torii is Japan's iconic noodle soup shop and we were told during that class that ramen, with its rich, deeply flavored broth, handmade noodles, and array of condiments is treated with the same reverence Southerners reserve for BBQ. Ramen noodles have four basic ingredients: wheat flour, salt, water and kansui. What's kansui? Well, I still don't really know for sure, but it's the magic ingredient. Without it, you will not have ramen noodles. Originally, kansui was named after the water from Inner Mongolia's Lake Kan, which contained large amounts of minerals. Kansui gives the yellowish color as well as the firm texture for the noodles. Shoyu: Soy sauced-based and the most common style. 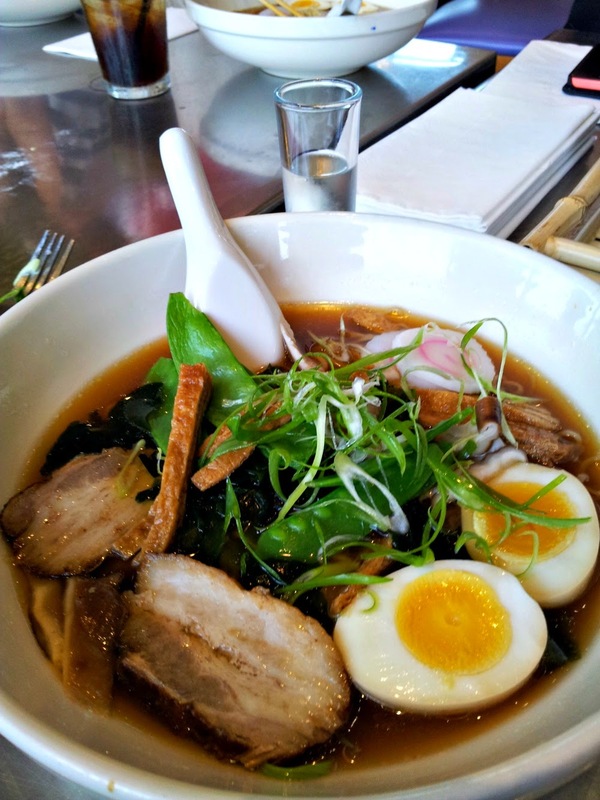 Shio: The lightest ramen style, and made from a variety of dried seafood and seaweed. Tonkotsu: A broth made from long-cooked pork bones. 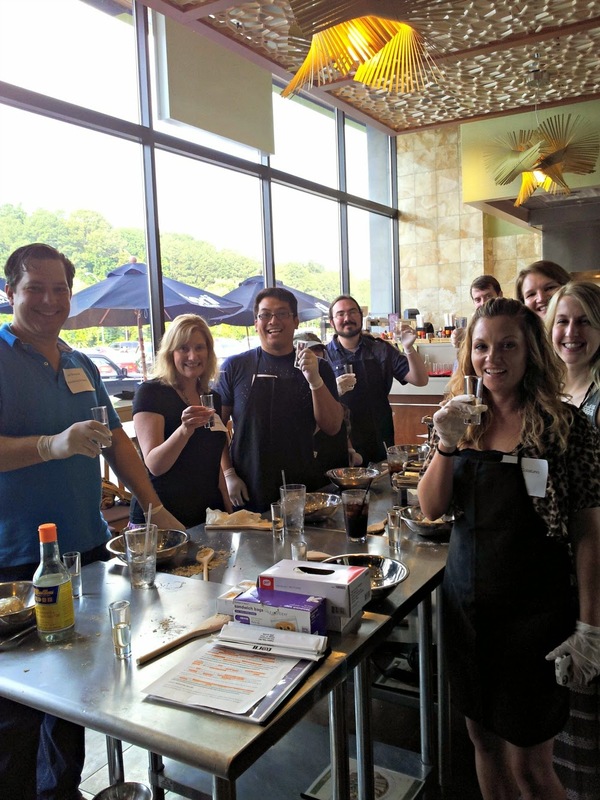 We tasted saki, flattened our dough and cut our dough. 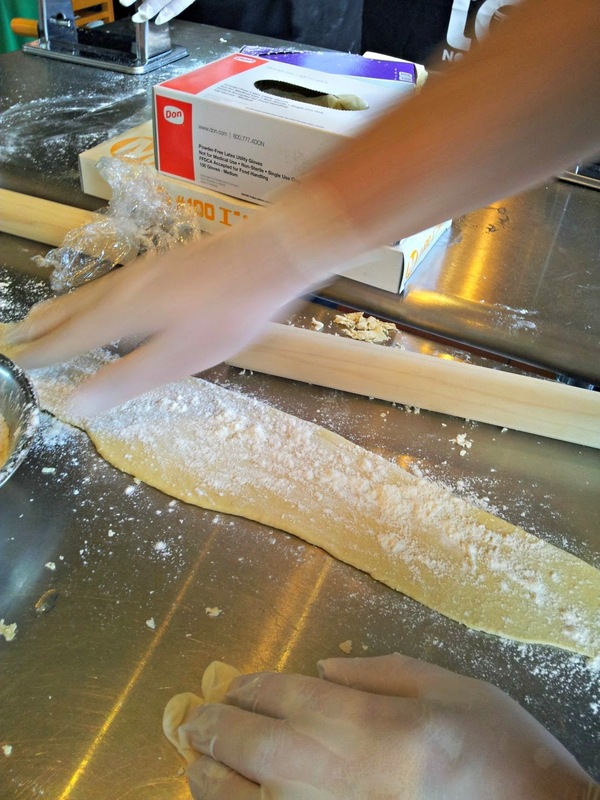 This dough eventually got into the form of ramen noodles with a lot of labor. And let me emphasize a lot of labor. The best part of the night is that the chef cooked our noodles and then we were ready to eat. If you go to Torii Noodle Bar, you can just order your ramen noodles and you'll have it within minutes. The restaurant also specializes in other rice bowls, stir-fried noodles, bento boxes, and teppanyaki, but for our night we concentrated on ramen. The best part of the night was decorating my entree then eating it. 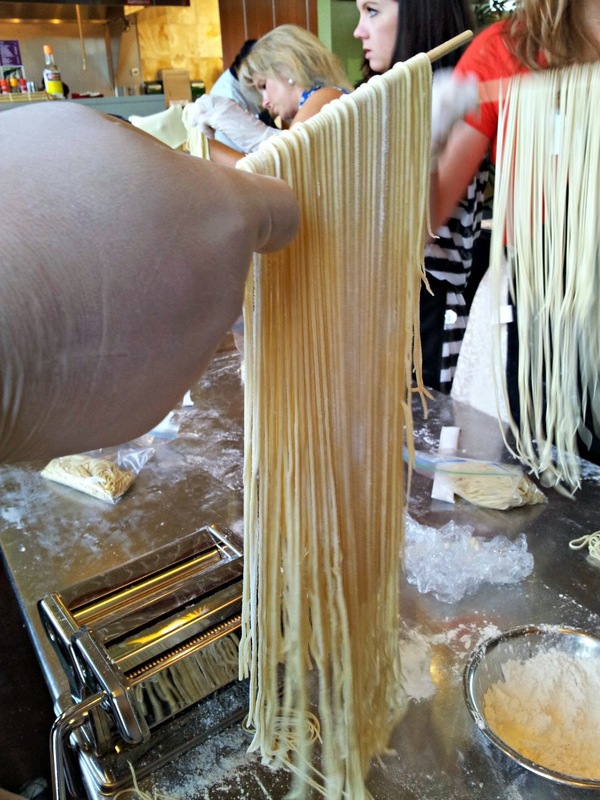 The next ramen noodle making class for the general public will be in October. Space is limited. The cost is $35 per person. I may not make ramen noodles again, but I will definitely visit Torii Noodle Bar in the future. I thought it was great. They also have a good kid's menu. 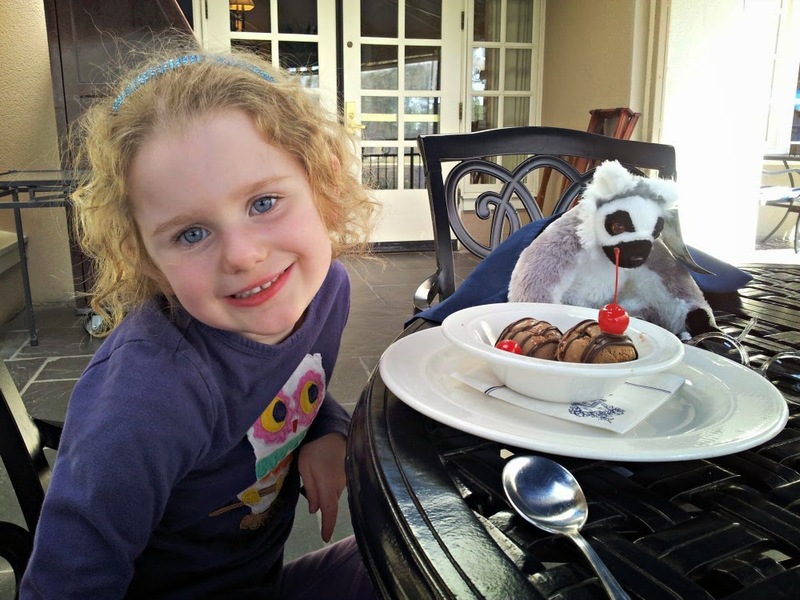 I'm back this week with a Southern Parenting Tale. As you know, I'm traveling a lot this summer and will be back on a regular posting schedule when my kids are in school. I've got lots to share so stay in touch. Sometimes, you just have to be there. As a writer, I can try to tell you a story, but no matter how hard I try to convey a story with written words, the story may not be the same as if it were told to you in person. This particular story was told to me by my husband’s cousins. They witnessed this event firsthand, and I only saw their laughter and faces as they passed this story around among the family. I missed the actual incident. From the look on their faces, and the tears coming out of their eyes, it had be what we call a “doozy” in the South. We attended a family reunion earlier this summer. 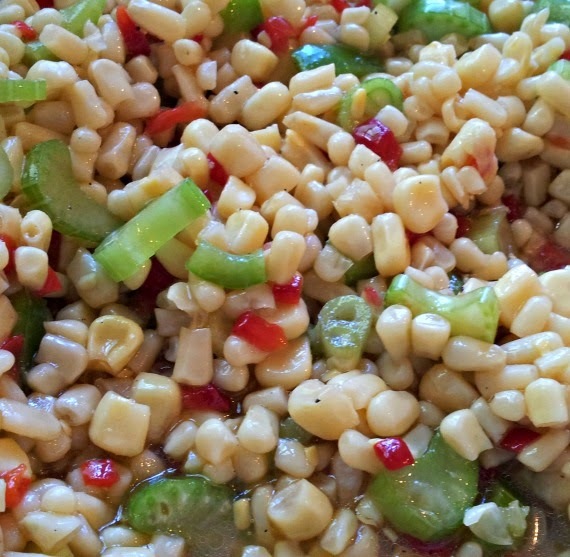 I took my shoepeg corn salad to the reunion. The recipe can be found in my recipe collection. My daughter is the youngest child in the bunch. The other children are all elementary-school-aged and older. I guess it’s tough to be the youngest. You always want to be more grown-up than you are. She and an older cousin were talking to my husband’s cousin’s husband. Got that? To make it simple, we’ll just call him John. John, who is in his 50s, is an avid cycler, volunteer fireman, and all-around good guy. He’s never had his own children, but he has a kind and loving way about him that kids just like. They like to be around him. John’s niece and my daughter had his full attention at this particular moment. Who knows really what they were talking about, but my little one said something to him that caused him to ask her a question. I’m sure he wondered how a 4-year-old could be so astute to know things about another country at her age. I think that conversation ended pretty quickly, and John got a little more education than he needed at this family reunion. And I guess that is what I get for trying to teach my child the proper names for body parts. Oops! But I’m sure it will be one for the storybooks for generations to come.